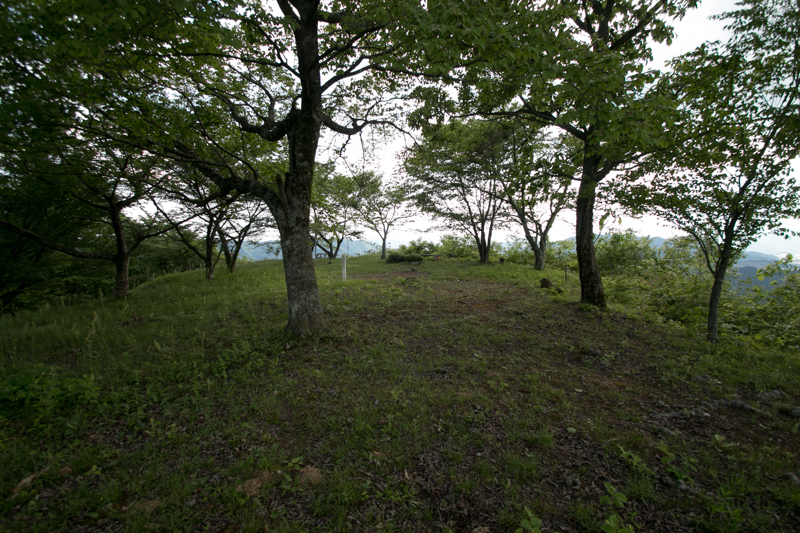 Iwaya castle is located at Iwayamama mountain, one of about 250 meter from hillside at 6 kilometer west from central Tsuyama city. Castle site is the south edge of Chugoku mountains and exists facing a small valley at the border of Tsuyama basin and Kuze basin. At Chugoku region, other than two coastal main roads along with Setonaikai Sea and Sea of Japan, an inland road passed east and west direction at the middle part of the region through similar course of current Chugoku highway. Kuze basin is one of the important point of this inland road, as a merging point of main road to westward, southward road to Okayama basin passes Takahashi city. 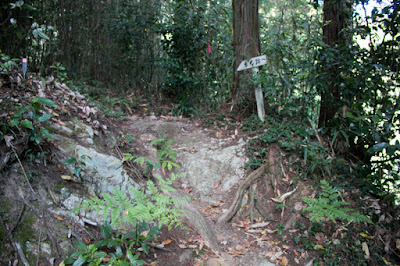 and northwest ward road toward Yonago or Shimane area. 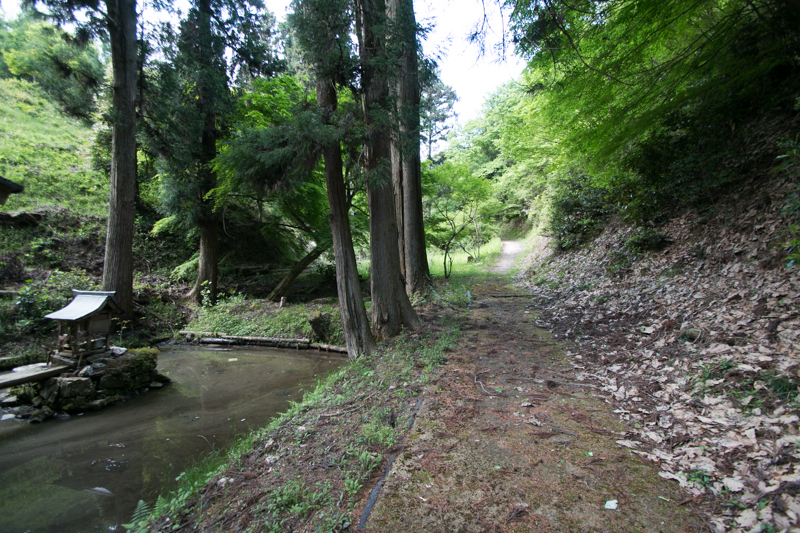 Iwaya castle is an important guarding point to protect Tsuyama basin from this junction. Mimasaka province, which is the north half of current Okayama prefecture mainly consist of Tsuyama basin and Kuze basin, is a small province and strong lords did not grow from this area. 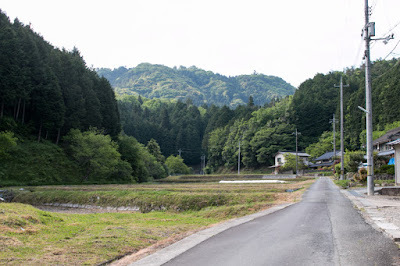 On the other hand, this province locates exactly at the middle of Chugoku basin, and worked as a corridor and crossroad of Chugoku region along with Miyoshi basin of Hiroshima prefecture. 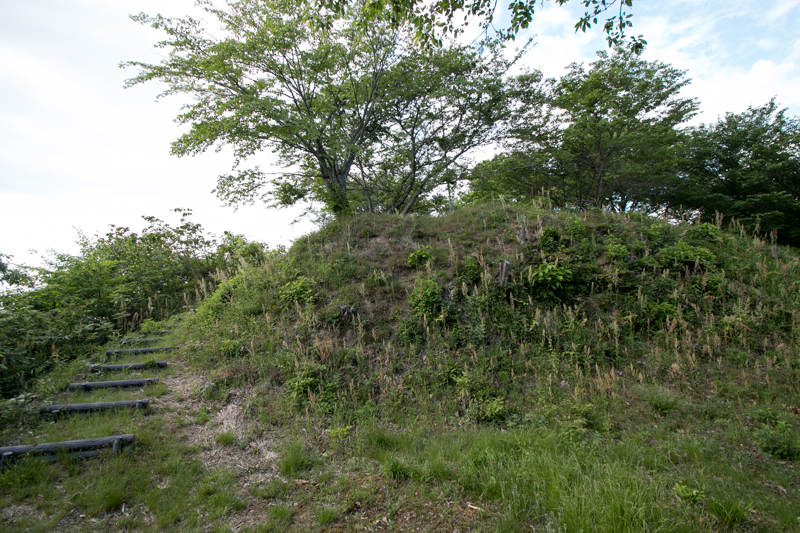 Based on this geographical condition, history of Iwaya castle is decorated with continuous battle with surrounding warlords who hoped to be the ruler of Chugoku region. 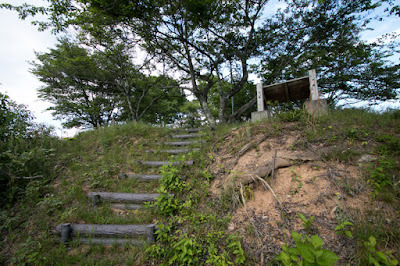 It is said that Iwaya castle was built by Norikiyo Yamana (?-? ), the leader of Yamana clan which was one of the important retainer of Ashikaga Shogunate in 1441. 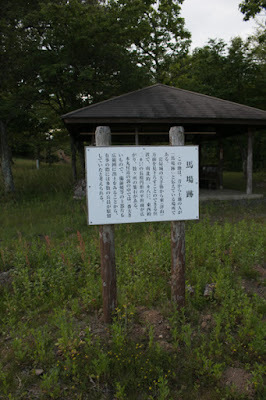 Originally Mimasaka province was held by Akamatsu clan which was the governor of Harima province (Hyogo prefecture) along with Bizen province (southeastern part of Okayama prefecture). But Akamatsu clan made a coup d'?tat against sixth Shogun Yoshinori Ashikaga (1394-1441) , then was subjugated and once ruined. Yamana clan participated this attack force and got Mimasaka province as a reward. But in the latter half of 15th century, the power and authority of Muromachi Shogunate weakened and it became the era of upheaval and uprising. 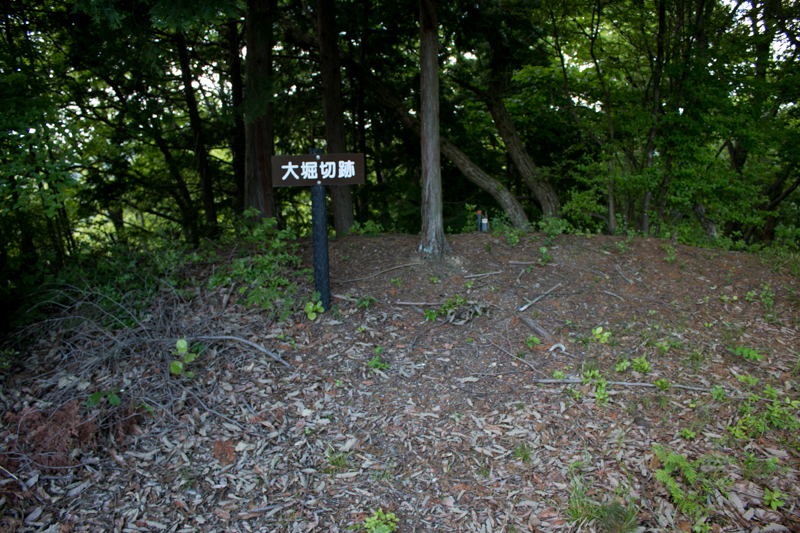 Sozen Yamana (1404-1473) became one of the leader at the battle of Onin from 1467 to 1477, but did not achieve anything and lost his authority. 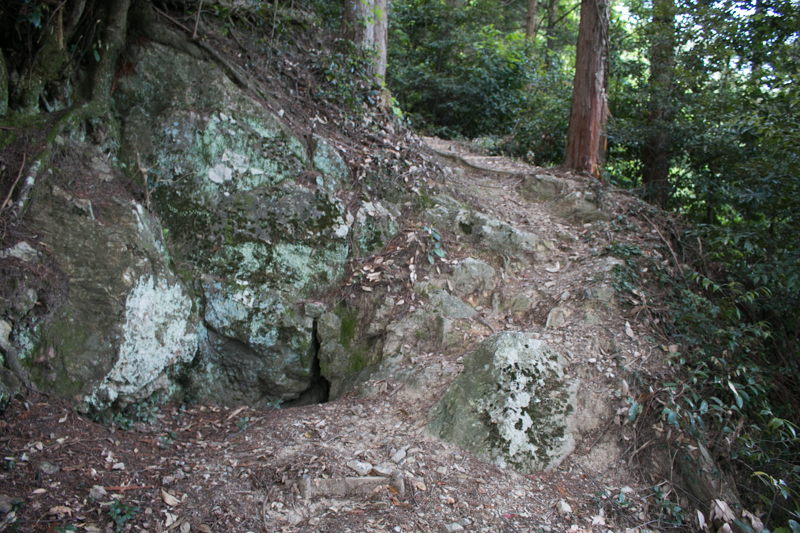 In the absence of Yamana army during the battle, restored Akamatsu clan attacked Iwaya castle from eastward and recovered it by 1468. 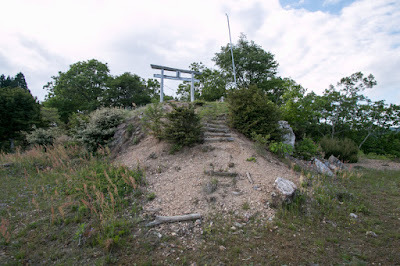 After the cease of the battle of Onin Yamana clan intended to recover former territory and large force to Mimasaka province and Harima province, but was finally defeated by Akamatsu clan and retreated into Sanin region by 1490. 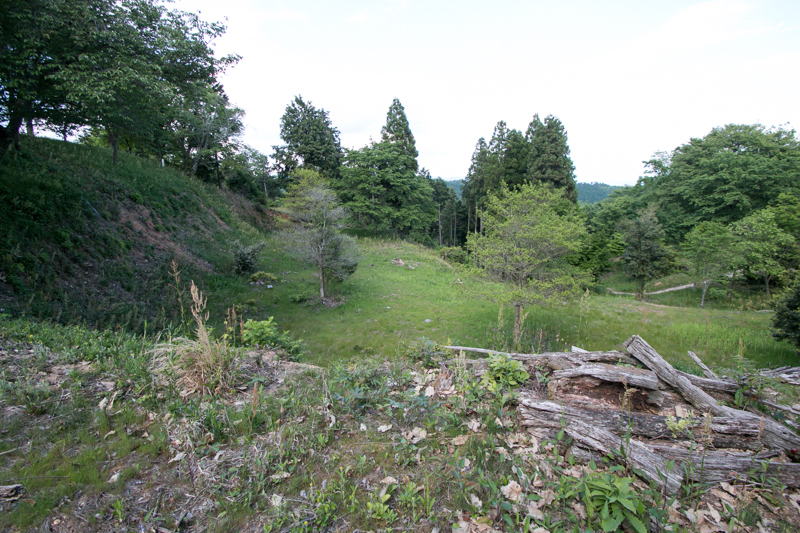 Situation of Mimasaka province seemed stabilized, but since the beginning of 16th century, Uragami clan which was the deputy governor of Bizen province grew its power and attempted to leave from Akamatsu clan. In 1520, Muramune Uragami (?-1531) raised his army against Akamatsu clan and captured Mimasaka province including Iwaya castle. In response to this Akamatsu clan sent a large army to Iwaya castle but the castle stood this attack over half year, and finally this subjugating force faced counter encirclement of Akamatsu army and suffered fatal defeat. 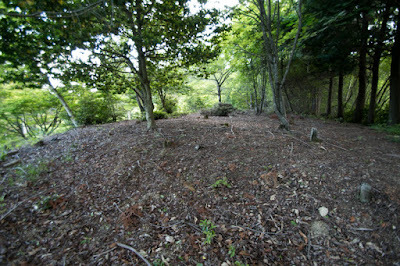 Uragami clan placed Nakamura clan as a commander of Iwaya castle. 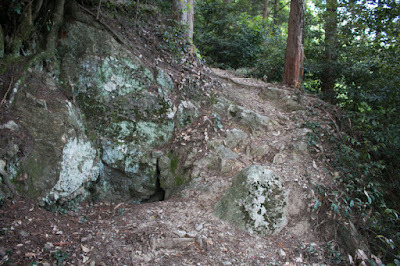 At the same time, Amago clan which was the governor of Izumo province (eastern part of Shimane prefecture) rapidly grew their power and expanded their territory to surrounding provinces in struggling with Ouchi clan which was an another strong lord of Suo province (Yamaguchi prefecture). Amago clan started its expansion into Mimasaka province and Harima province in 1530's, and once captured both province both province and approached to Kyoto city. 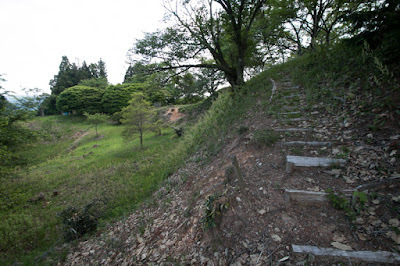 This progress was once suspended by the failure of Aki Koriyama castle (Hiroshima prefecture) which was the main base of Motonari Mouri (1497-1571) in 1540 and invasion of Ouchi clan in 1542. 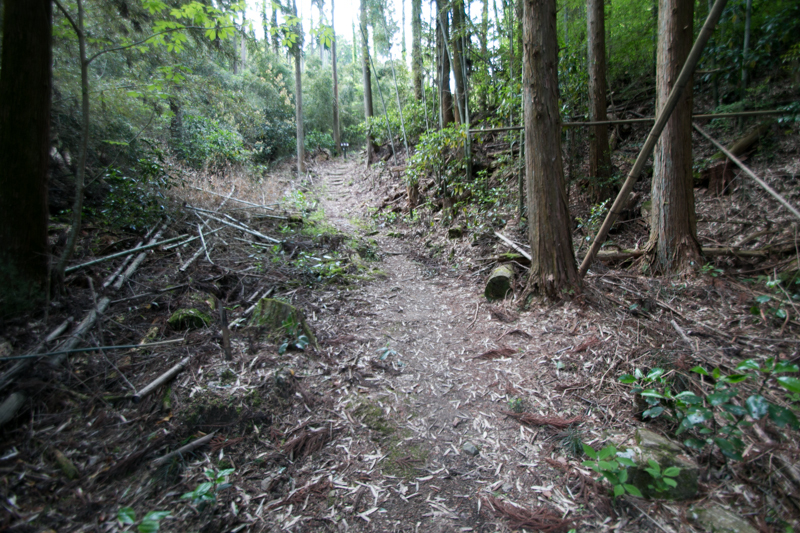 But Amago clan stroke back this invasion of Ouchi clan and started to expand into southeast ward again. In 1544 Haruhisa Amago (1514-1561) sent a large army to Mimasaka province, then Nakamura clan surrendered to Amago clan and became their general. But Amago clan itself did not last long and was ruined by Motonari Mouri in 1566. 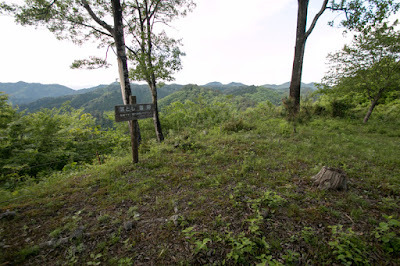 At the same time, under Uragami clan which virtually became independent from Akamatsu clan, his retainer Naoie Ukita (1529-1582) expanded his power by plot and also uprising. 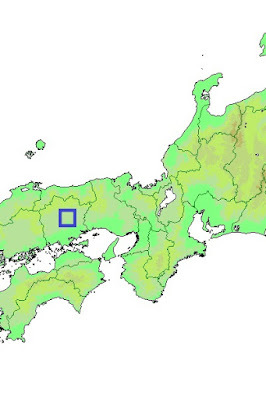 The lord of Iwaya clan had changed from Nakamura clan to Ashida clan, and Ashida clan belonged to Ukita clan. In 1575, Naoie connected to Mouri clan and finally expelled Uragami clan from Bizen province and became a lord of Bizen province and Mimasaka province under Mouri clan. 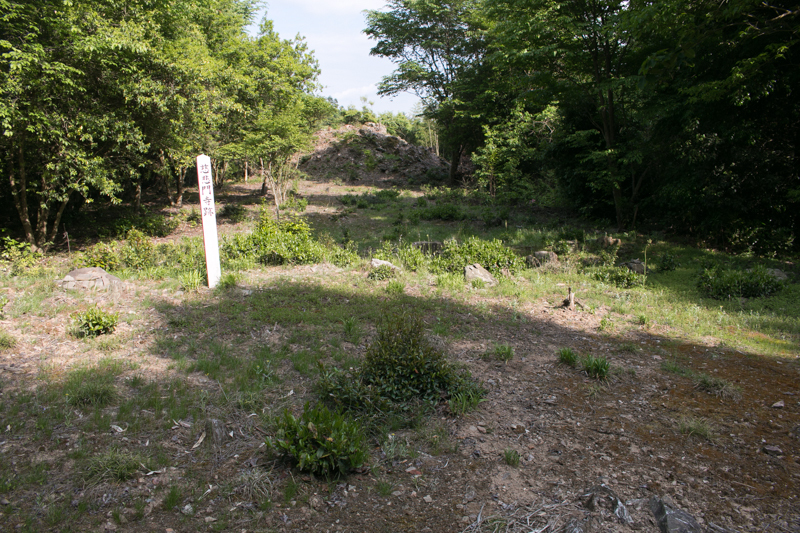 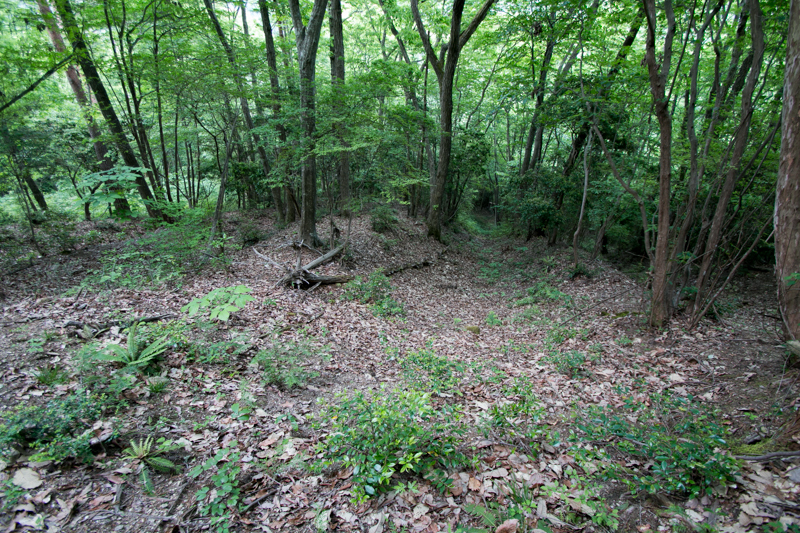 Ukita clan expanded Iwaya castle as a important site to guard Tsuyama basin. Iwayayama mountain is a natural fortress separated by valley of two rivers flow north and southward at the both side of the castle, then ridge of mountain only spread from its peak to southward. 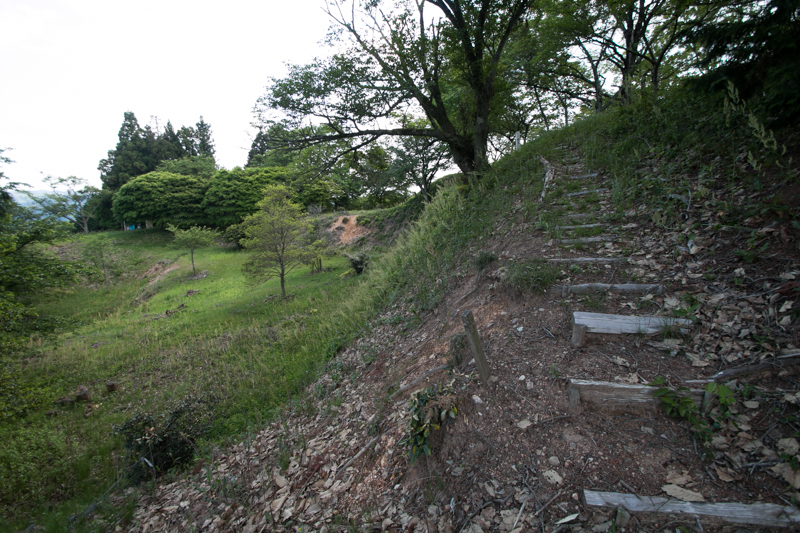 Iwaya castle roughly consist of hilltop area, halfway terraces and hillside forts. 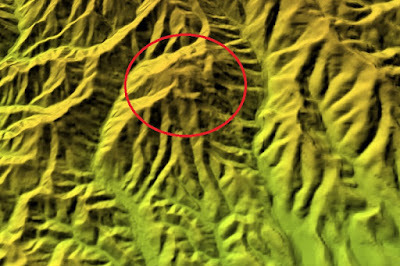 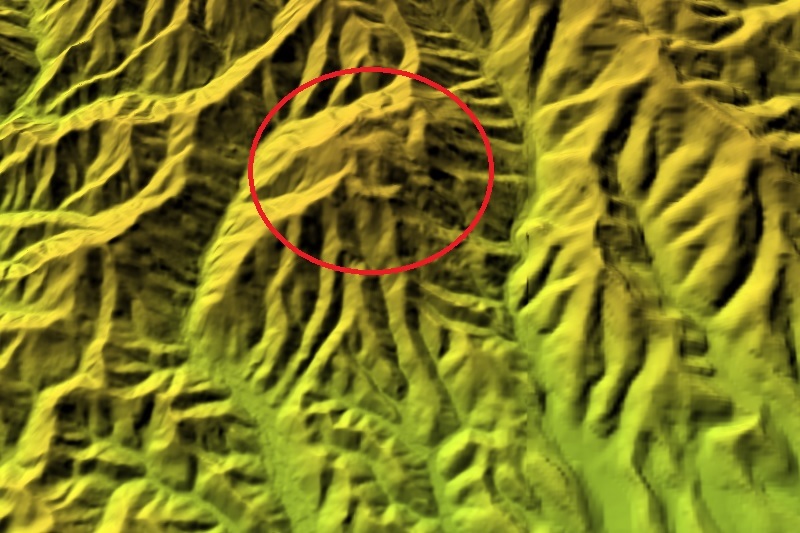 Hilltop area is a combination of reverse U letter like a horseshoe shaped core areas and attached terraces spread on connecting ridges. Central area is a flat terrace of 50 meter long and 20 meter wide, and terraces area built along U letter ridge. 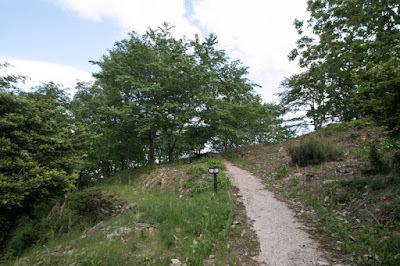 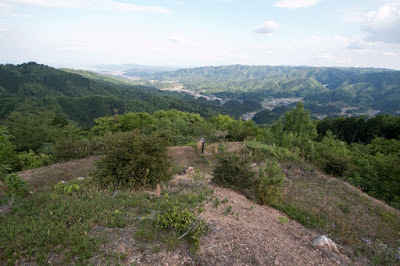 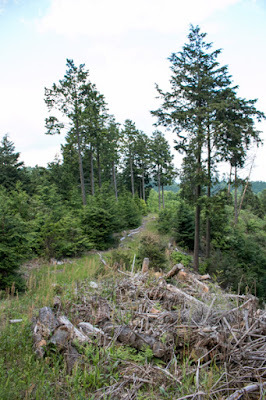 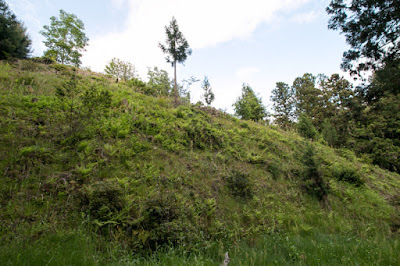 At the edge of this ridge, there is a large terrace named Baba (riding area) over 100 meter long, and from the south of this area front side of the castle and hillside road is well seen. 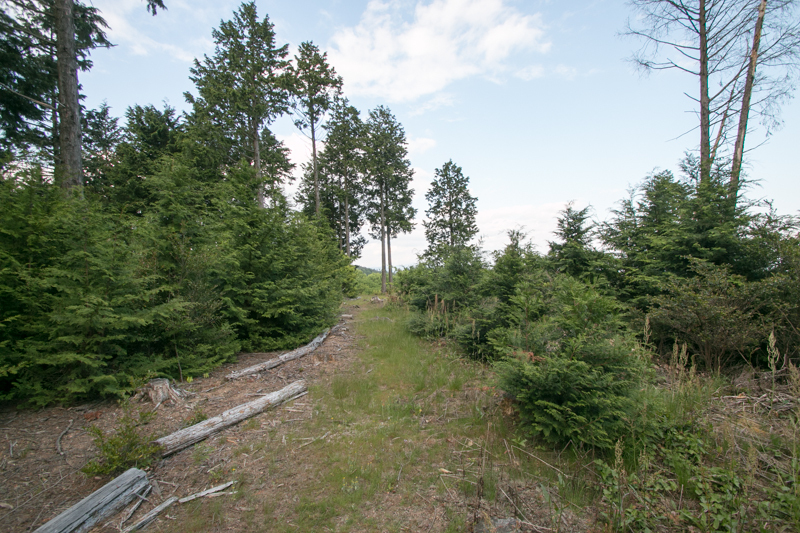 Secondary area and third area are built on the ridge spread to eastward from central area. 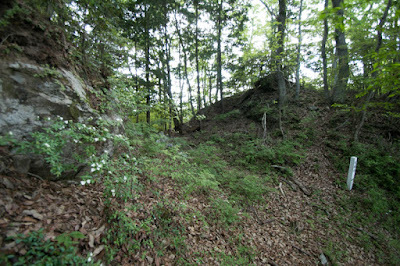 As the northeast corner connecting with backside mountains is the weak point of the castle, and this part is separated by deep dry moat. 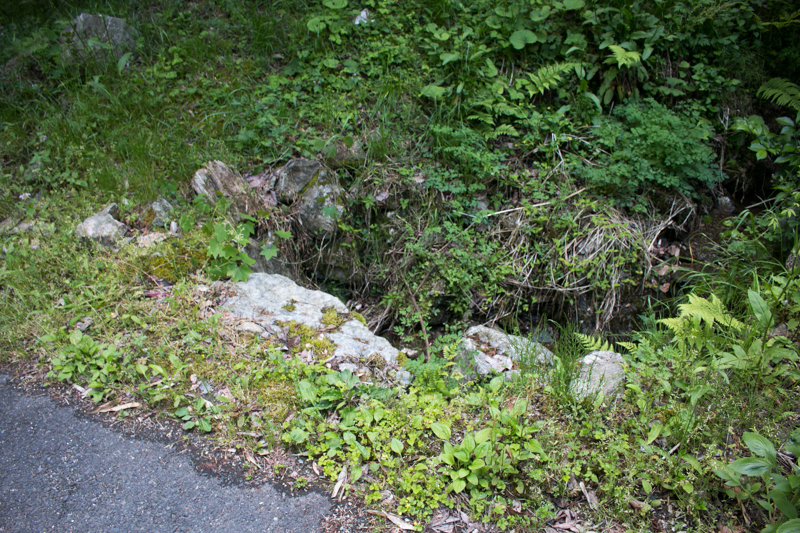 Scattered stones are seen at this dry moat and it is not clear if these stone are artificial stone wall or natural rock, but considering importance of this section there is no wonder to build stone wall only at this part. 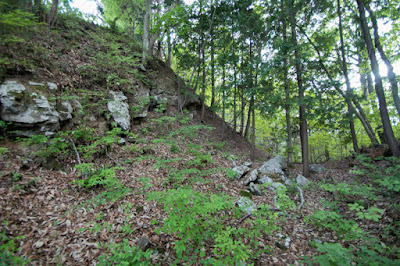 At the small terrace just below these area there is a small lake used as a water source. 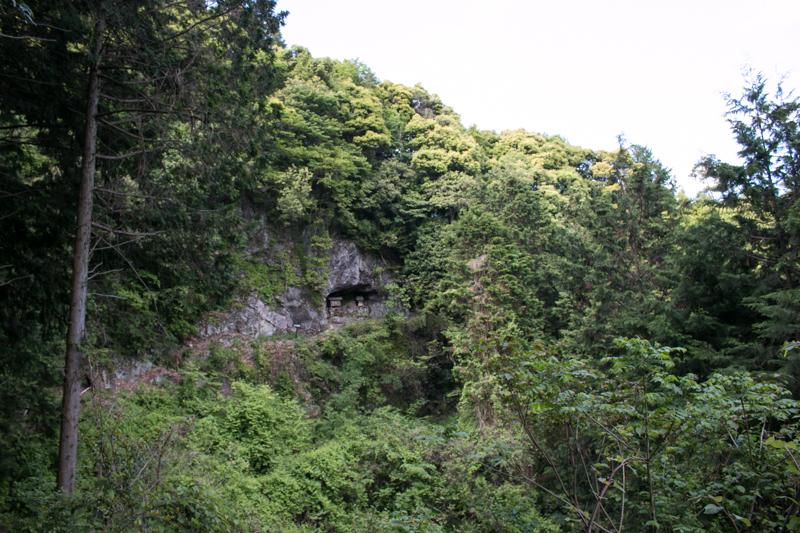 It is rare that such sheer mountain castle has such a rich water source, then this significantly strengthened defense ability of this castle. There is a main gate of this castle at this terrace and road from hillside is connected to this gate. 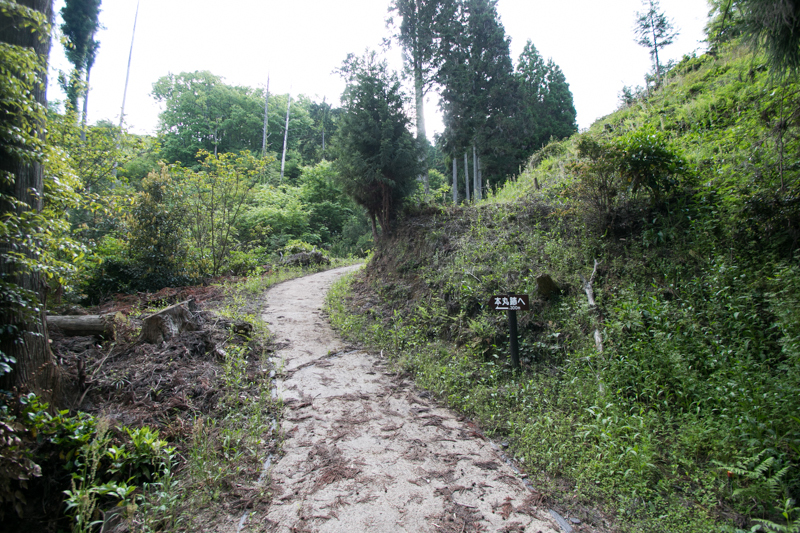 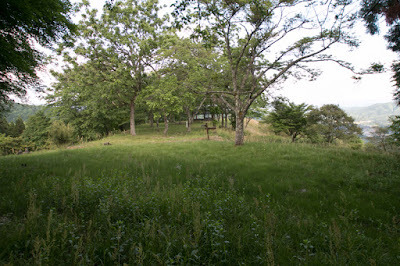 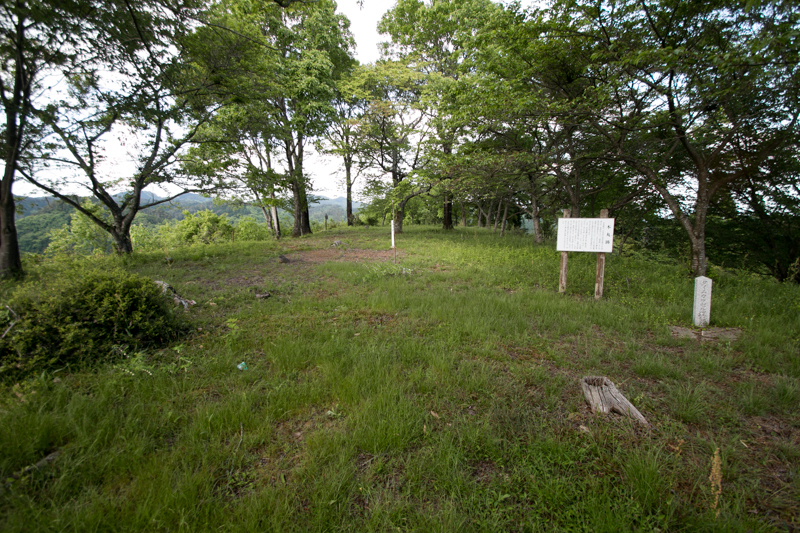 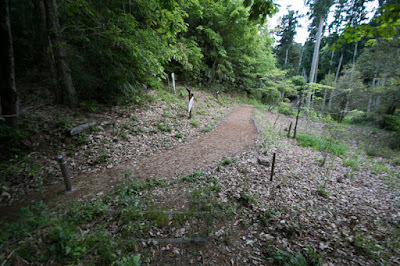 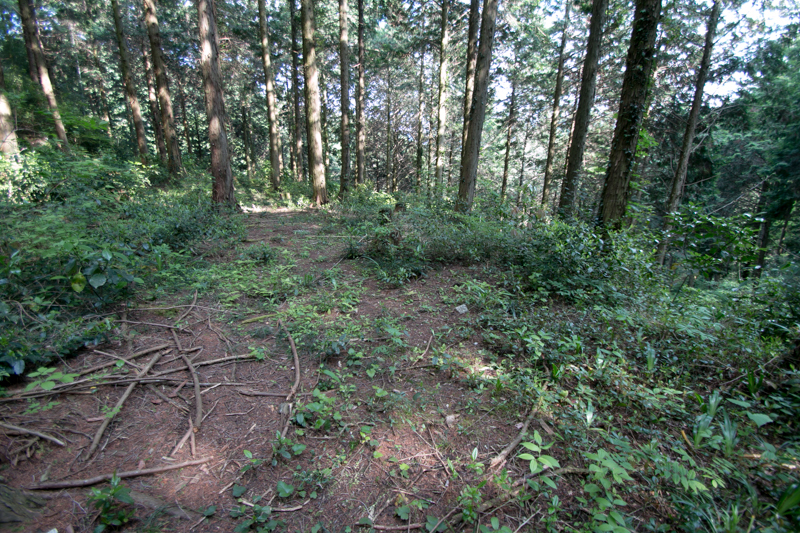 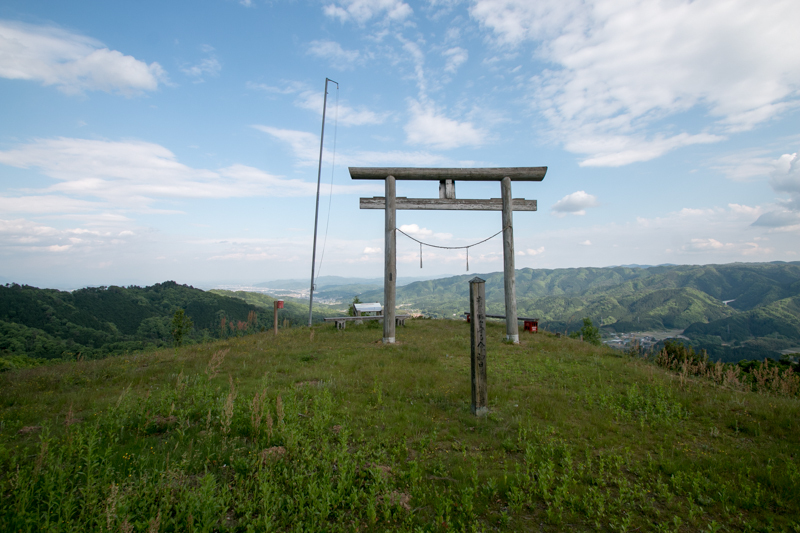 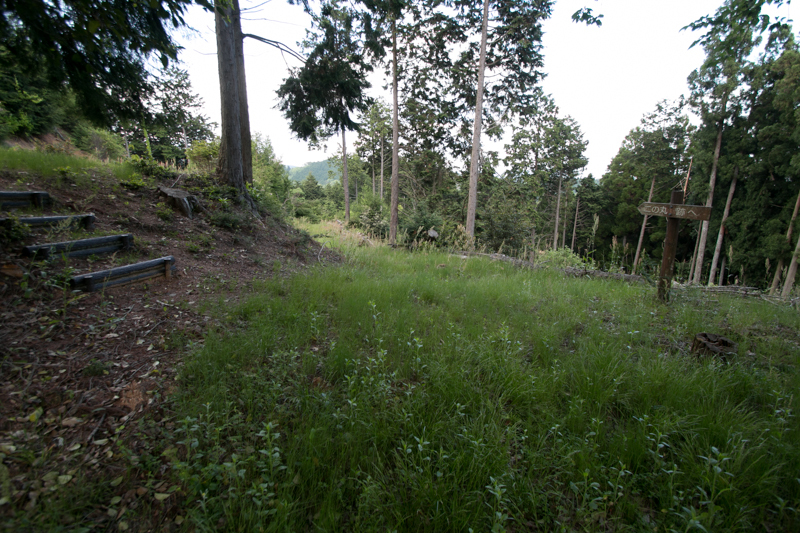 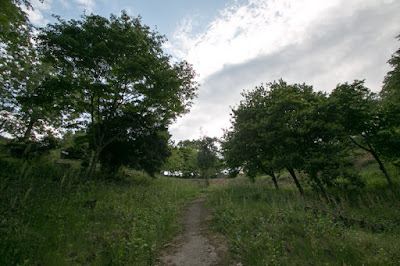 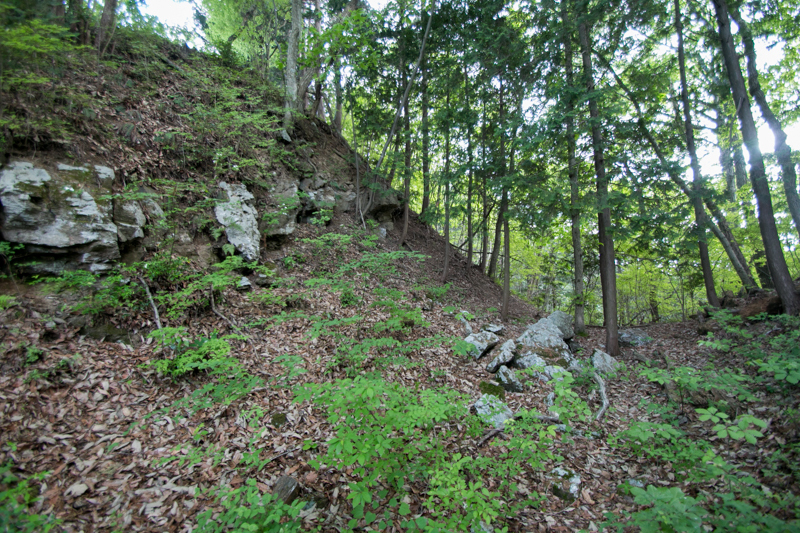 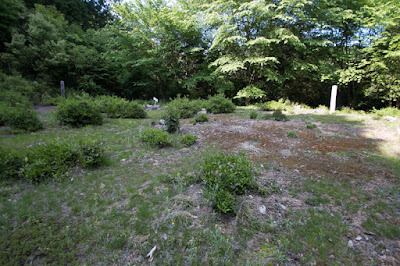 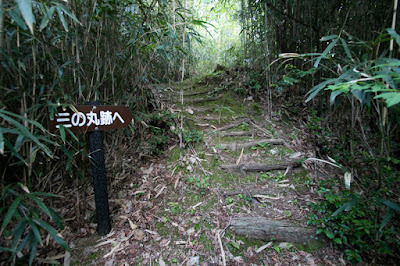 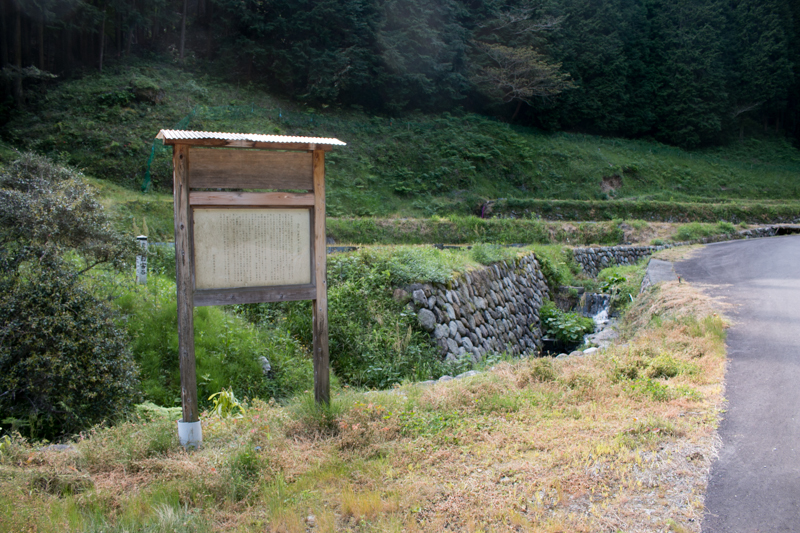 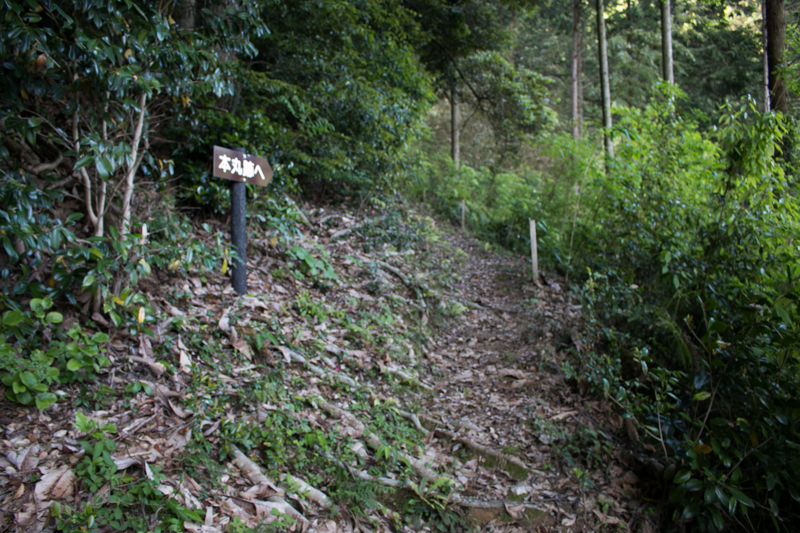 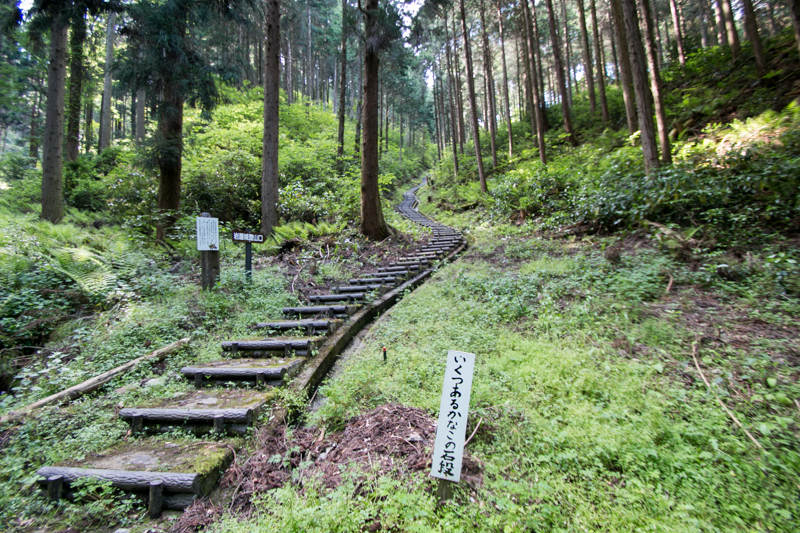 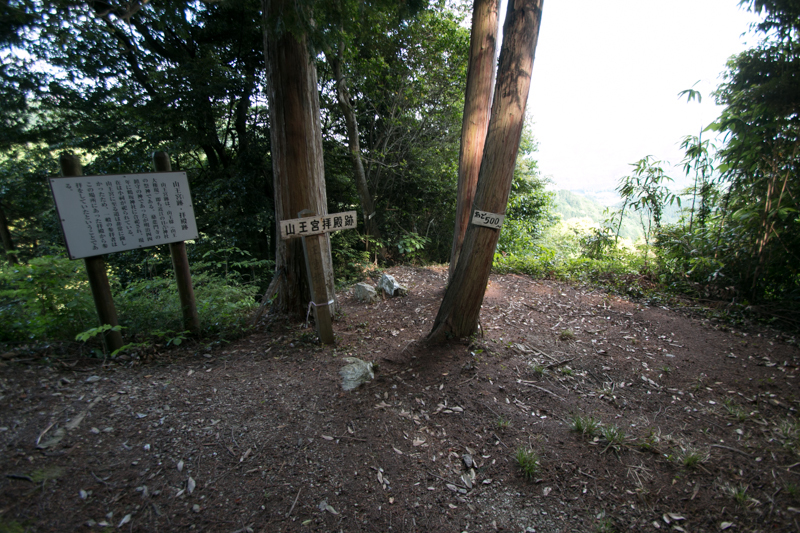 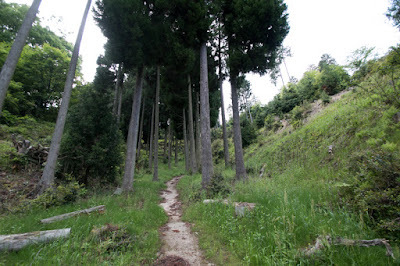 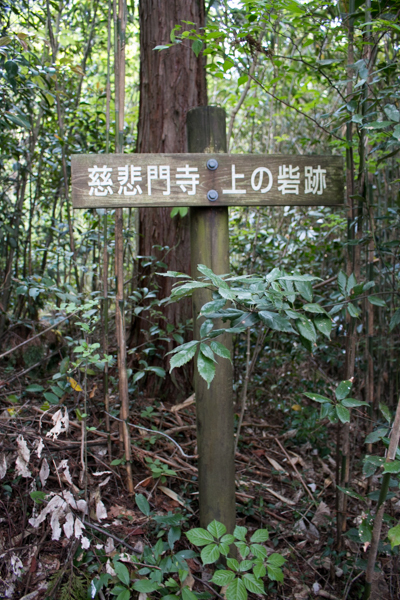 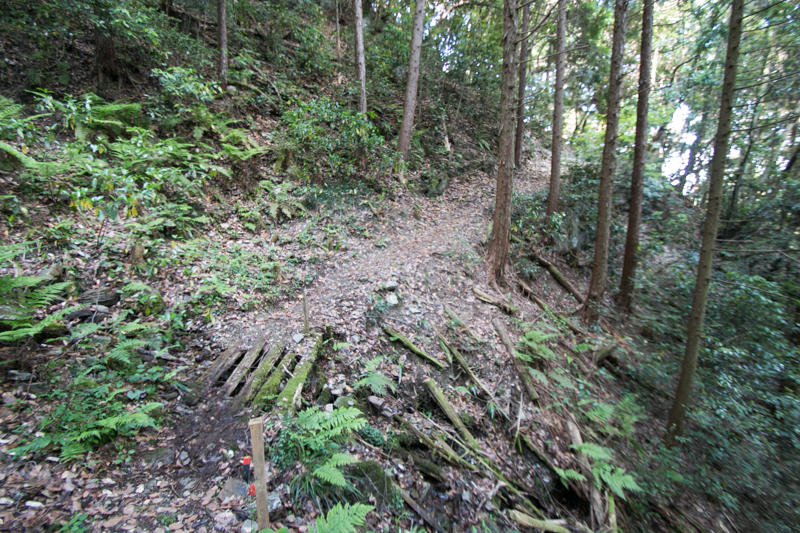 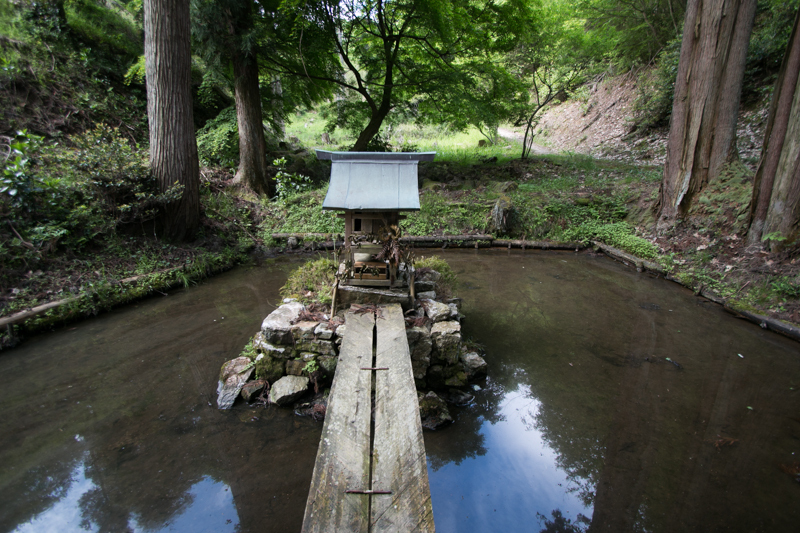 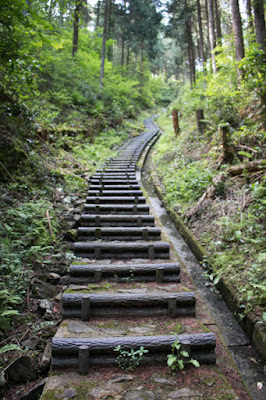 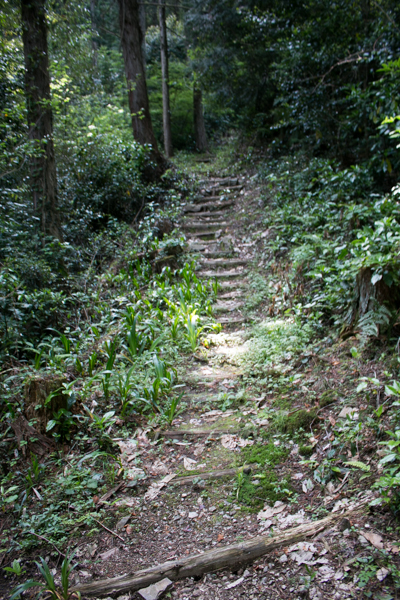 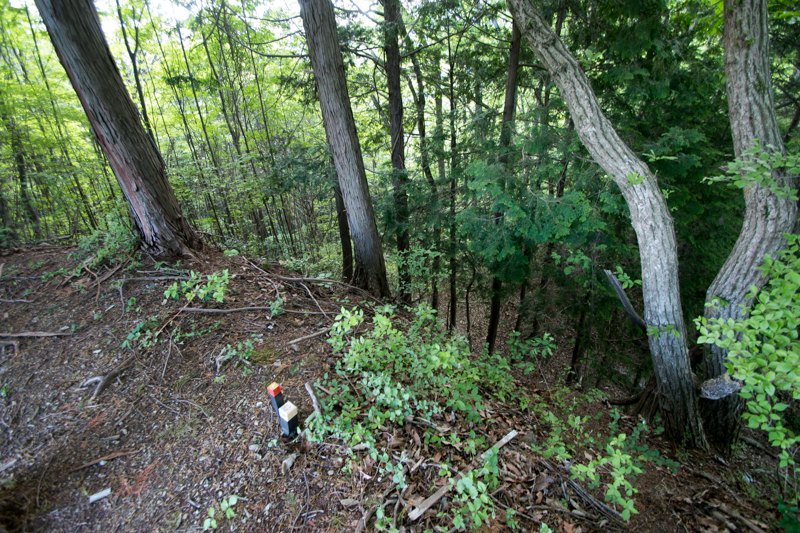 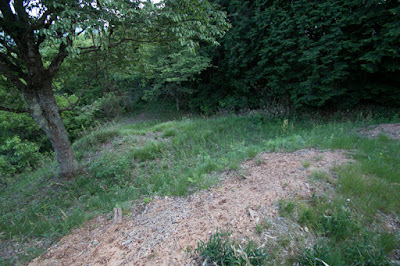 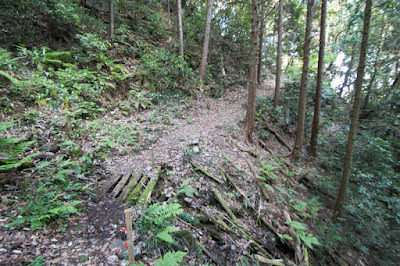 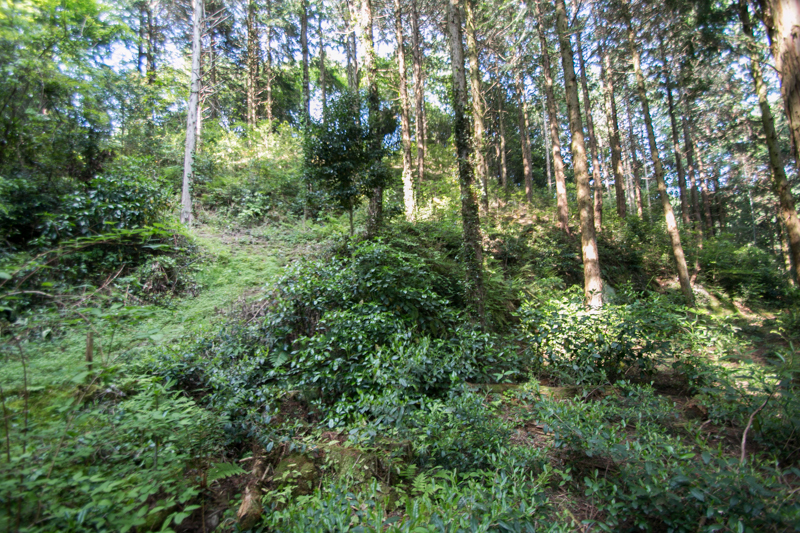 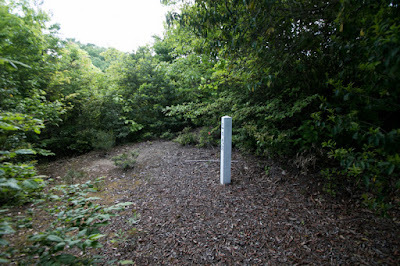 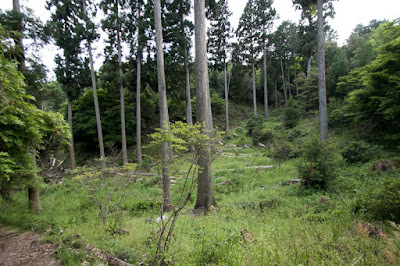 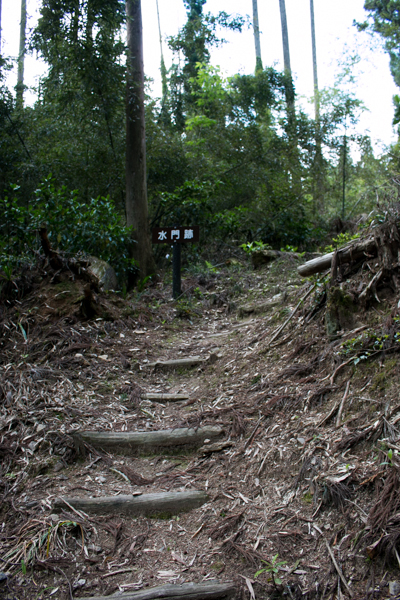 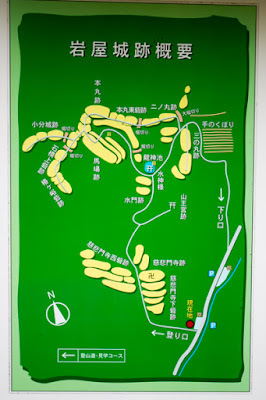 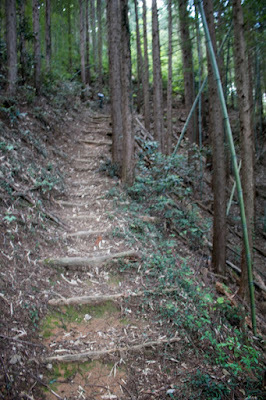 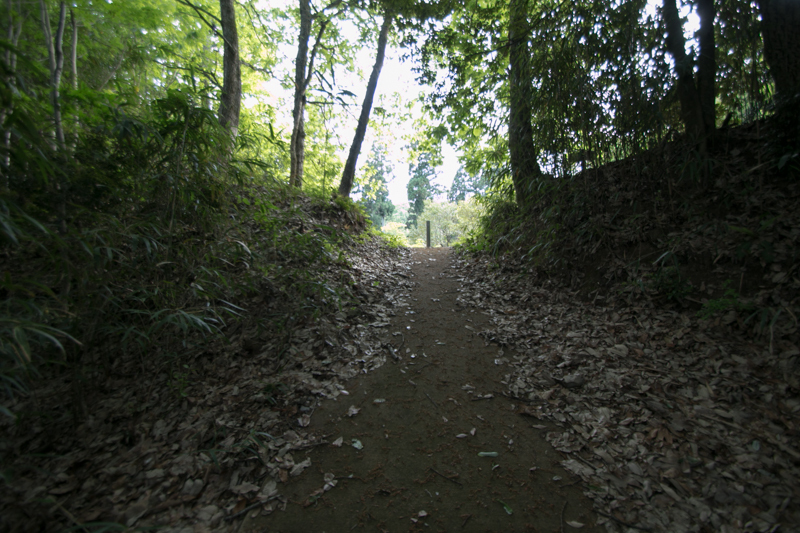 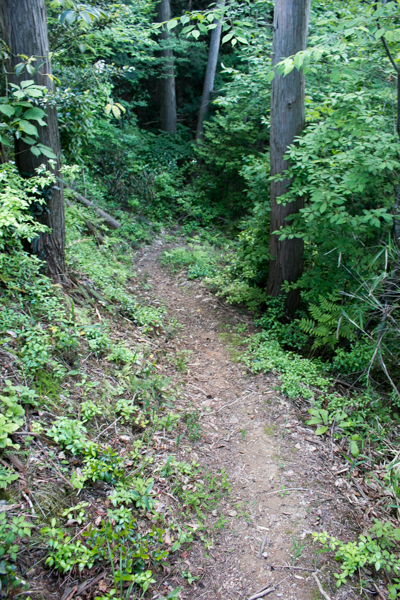 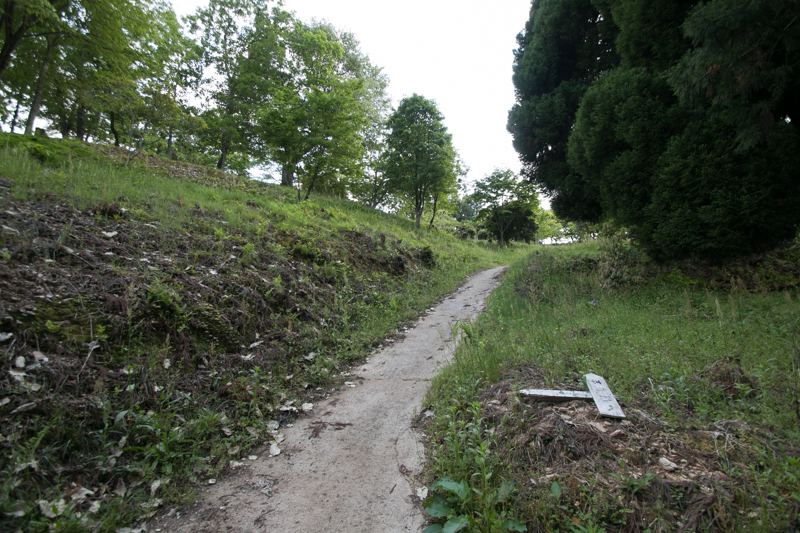 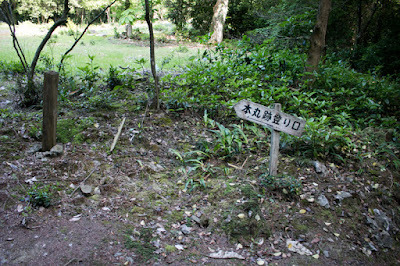 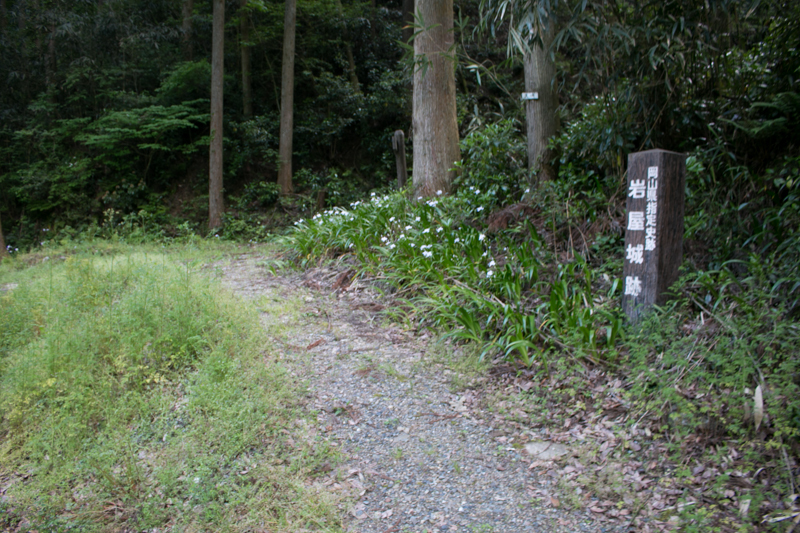 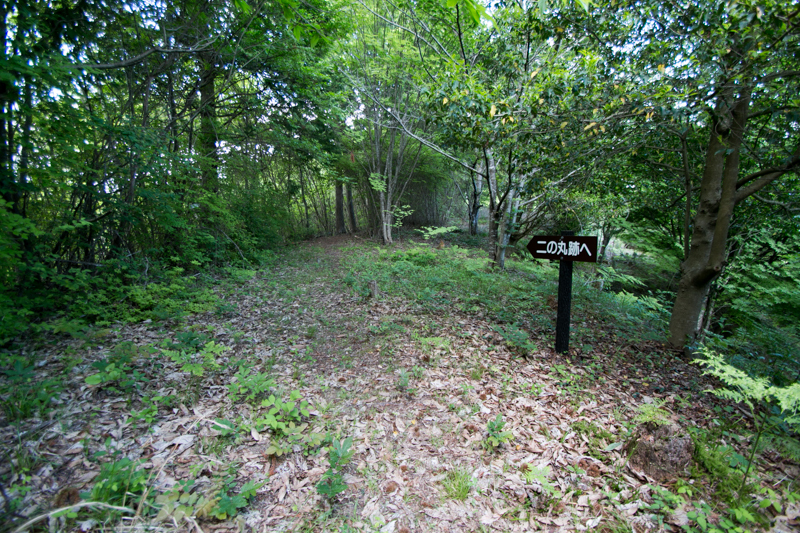 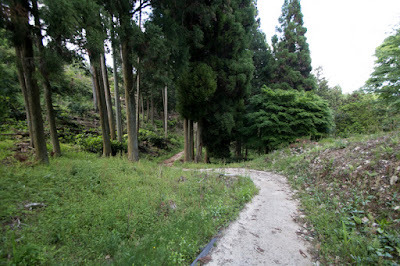 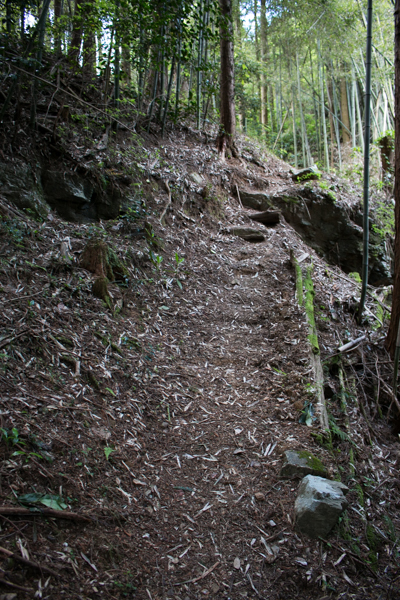 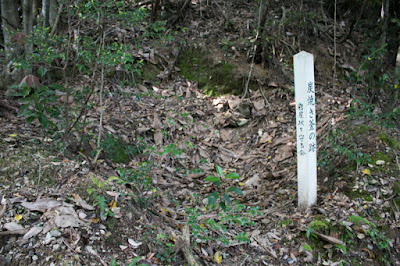 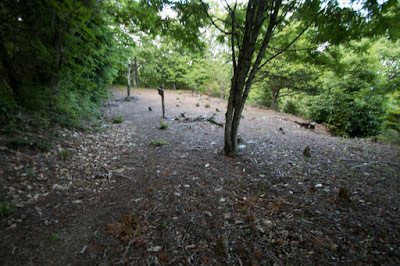 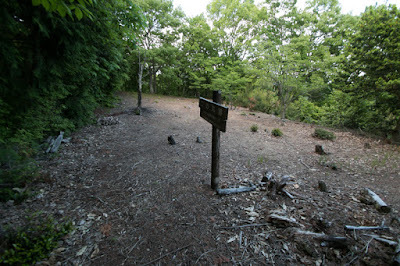 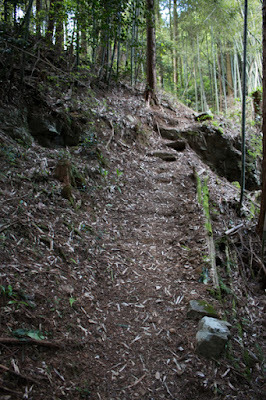 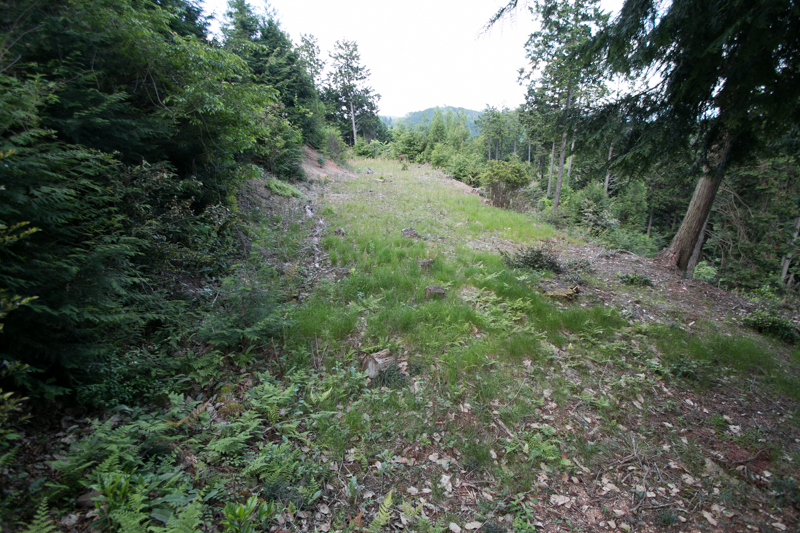 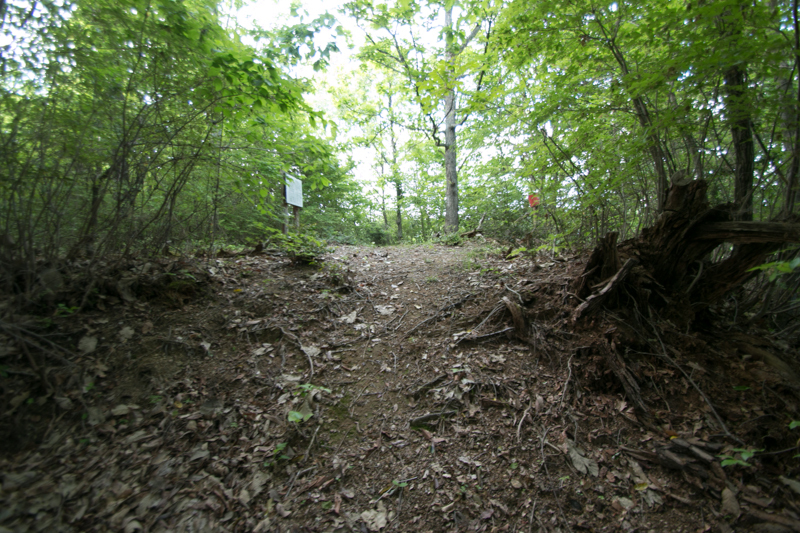 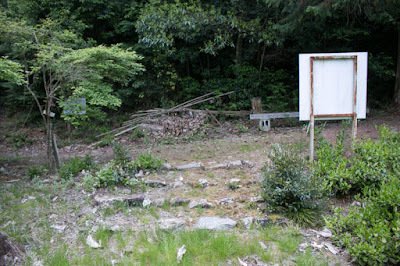 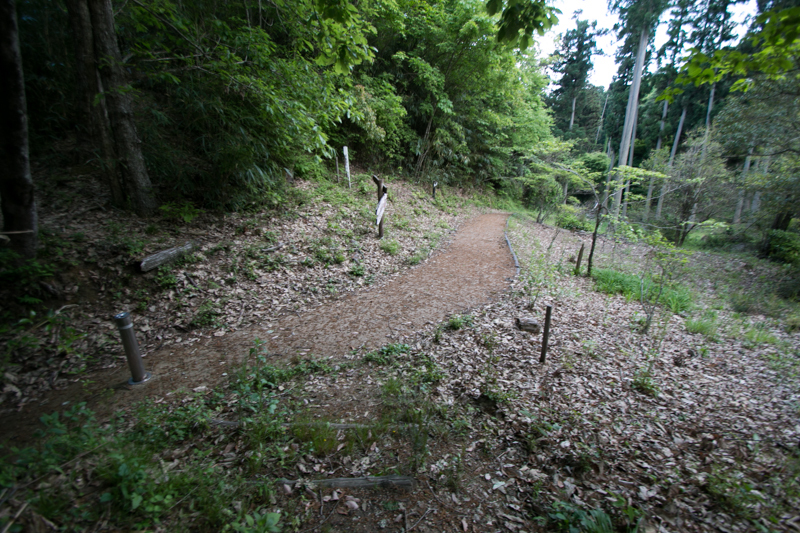 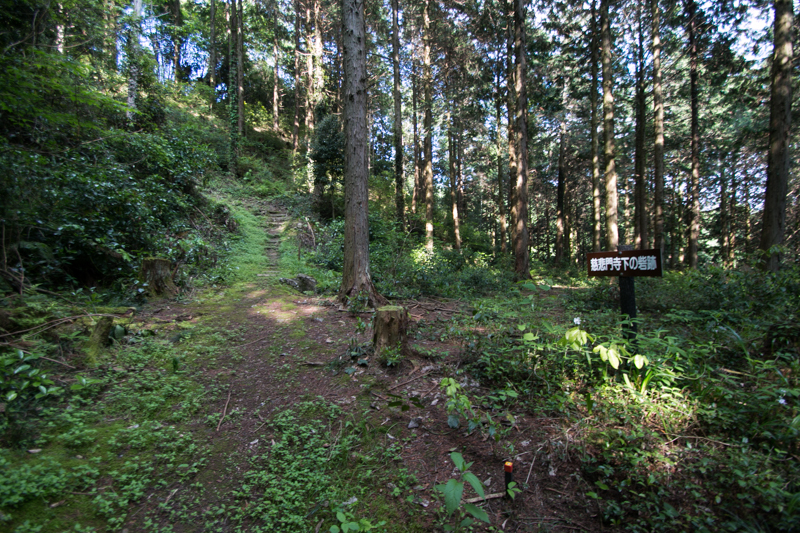 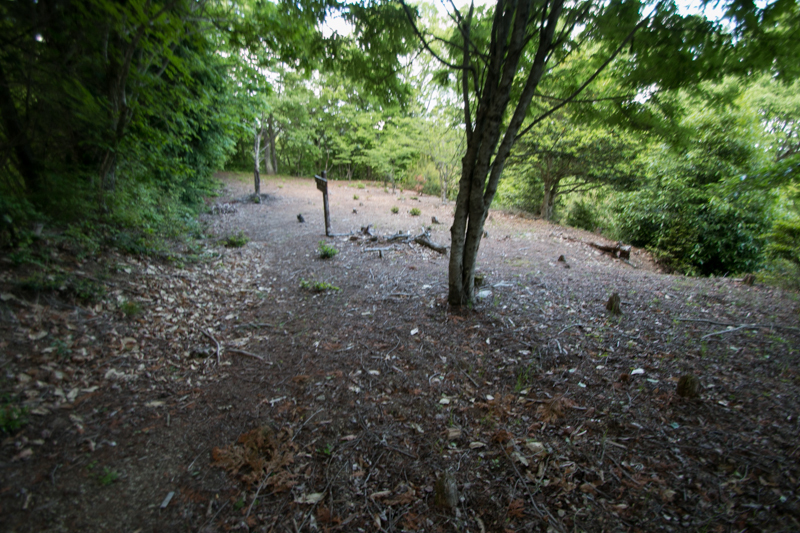 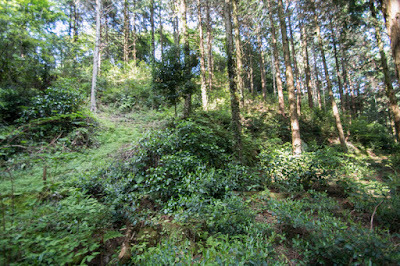 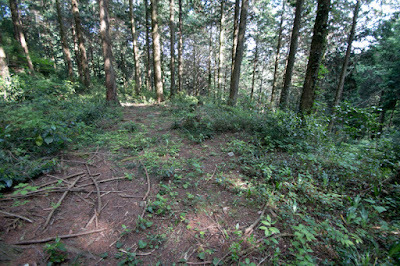 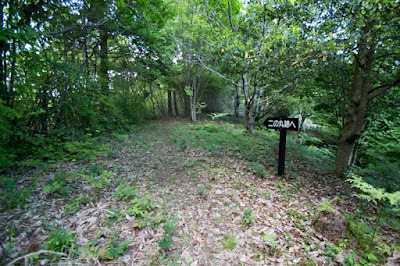 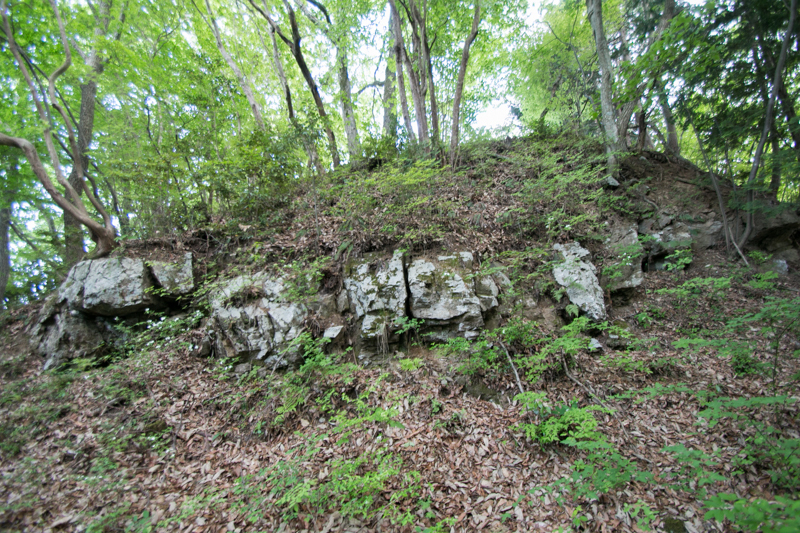 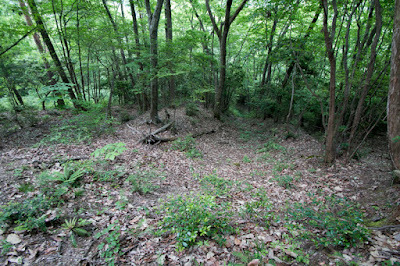 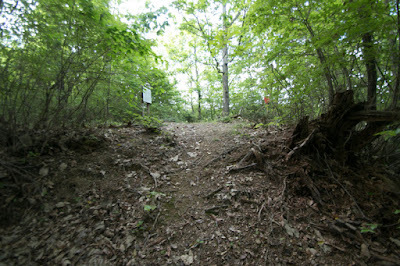 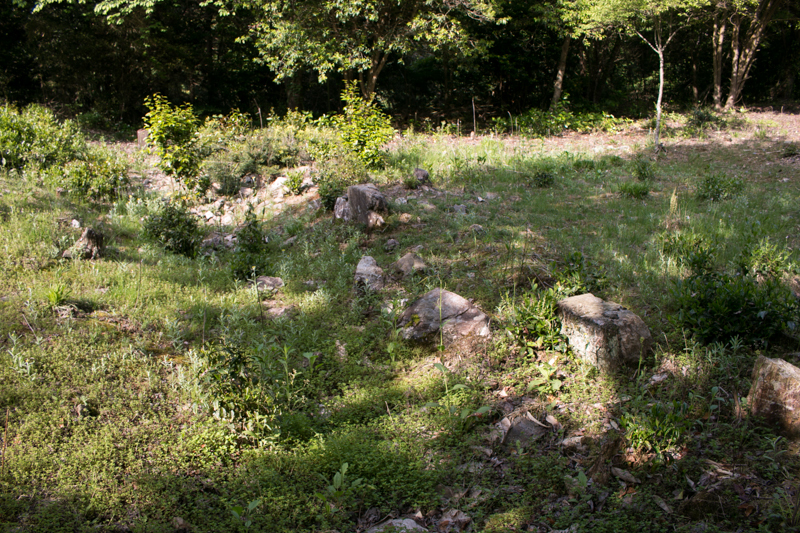 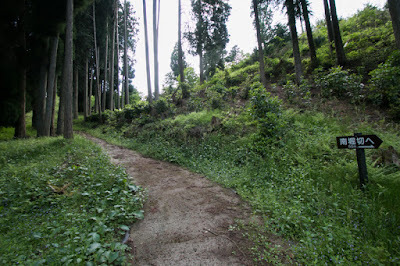 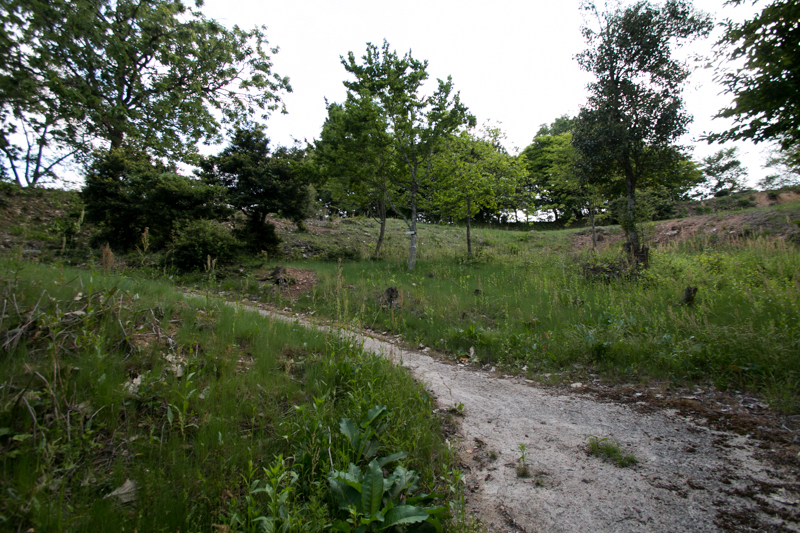 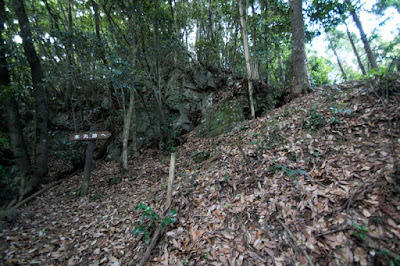 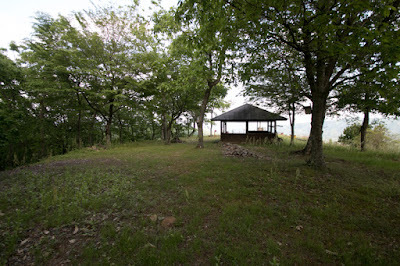 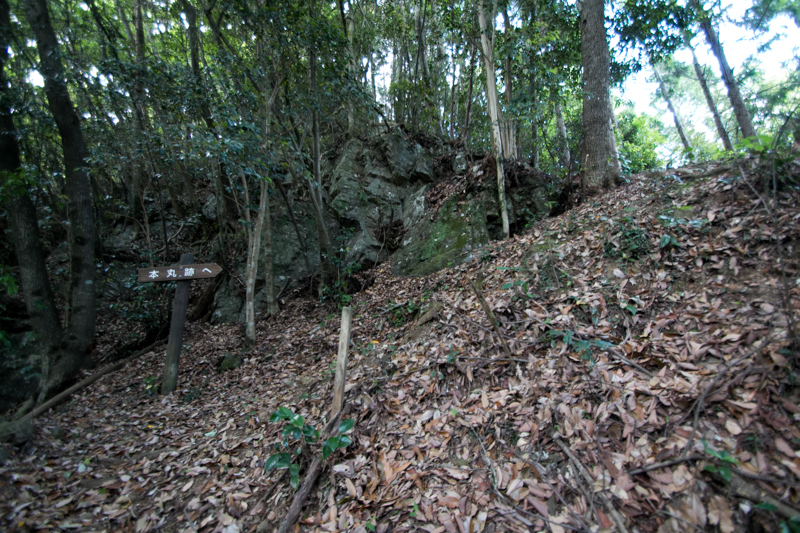 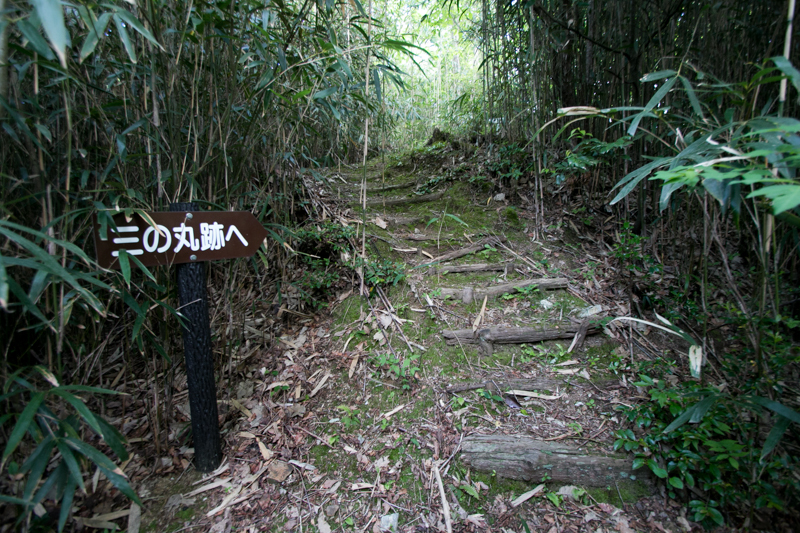 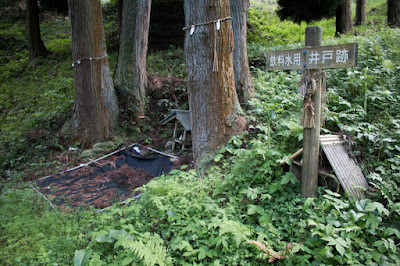 On the halfway of mountain, there are several terraces formerly used as Jihimonji temple. 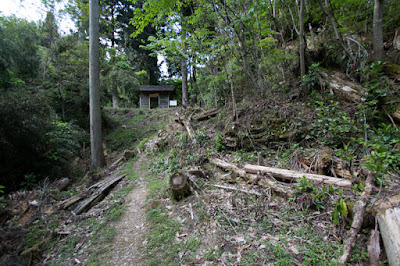 This temple is a traditional one and consisted of several terraces decorated by stone walls, and in case of emergency it worked as a front fort of climbing road. 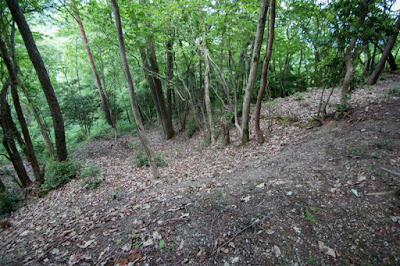 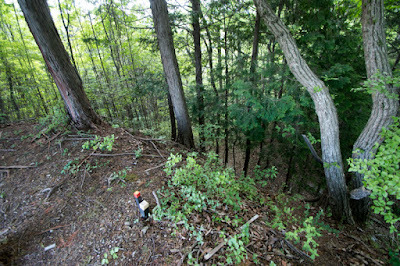 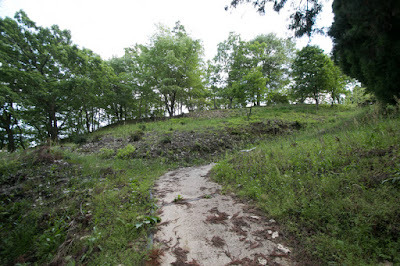 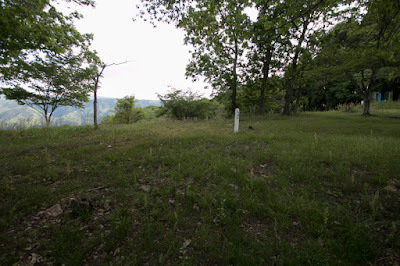 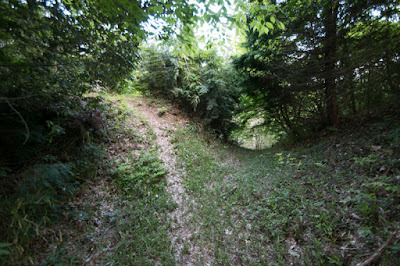 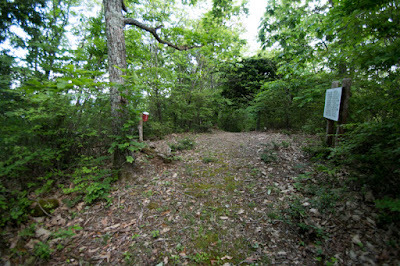 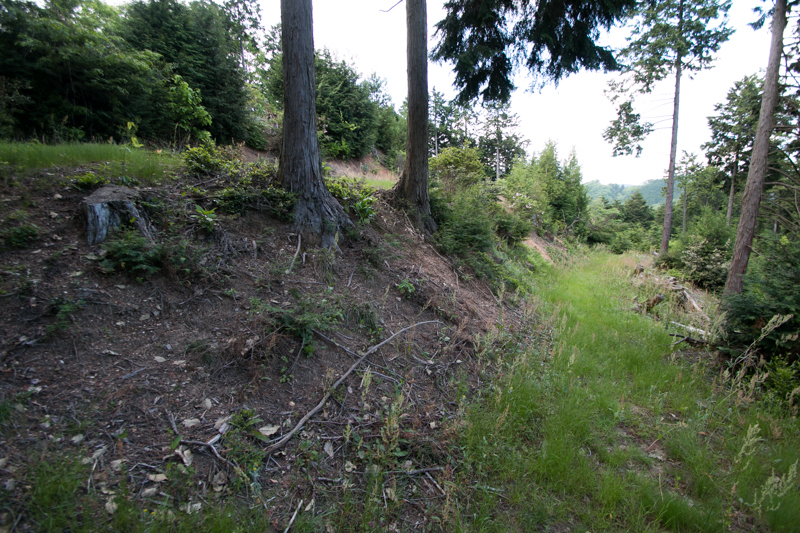 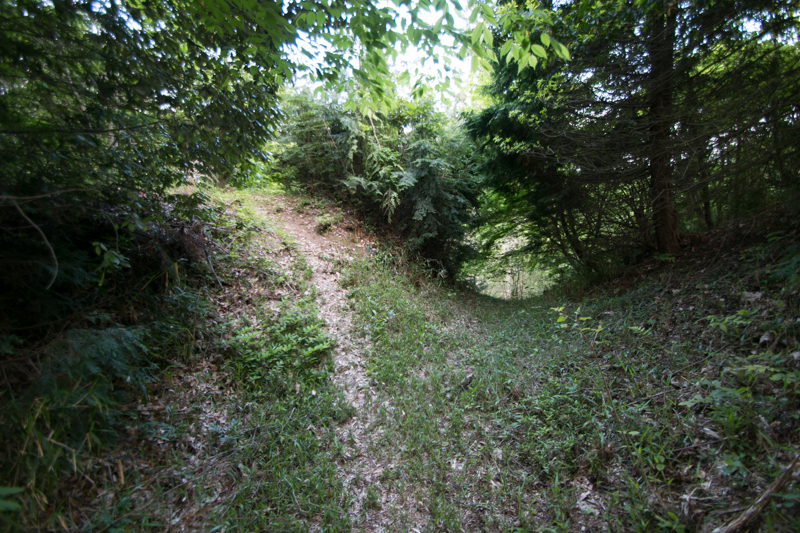 Additionally, at hillside hills several front forts were built to guard the valley in front of castle. 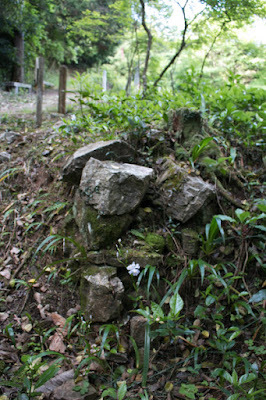 Even though having almost no stone wall, its size and security is a first class among mountain castles of the province. 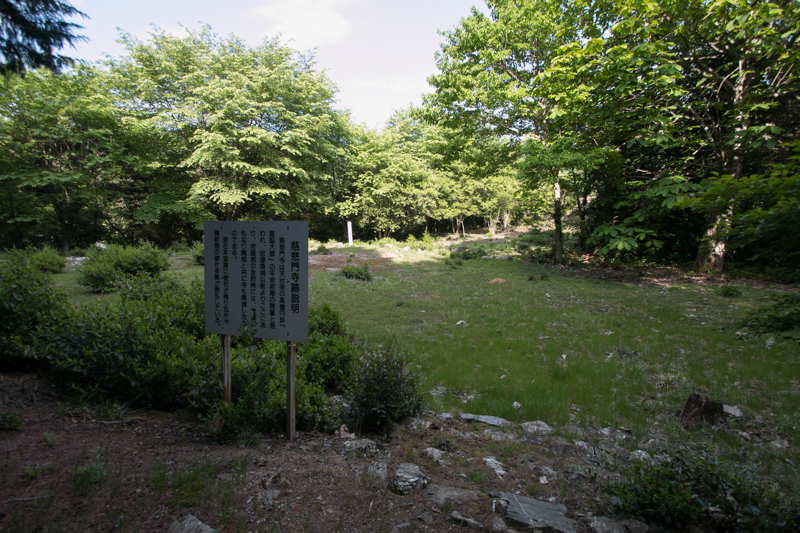 In 1578, central ruler Nobunaga Oda (1534-1582) sent his general Hideyoshi Hashiba (1537-1598) as a regional commander of Chugoku region and started attack to Mouri clan. 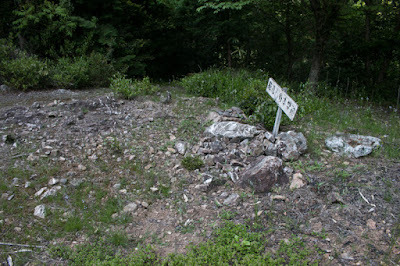 Among the struggle between Hideyoshi and Mouri clan, Naoie resided at the border attempted further growth then suddenly left Mouri clan and changed to Hideyoshi. Furious Mouri army attacked Iwaya castle from westward in 1581, and because of sudden attack from sheer cliff just behind of central area, Iwaya castle fell and changed to Mouri clan. 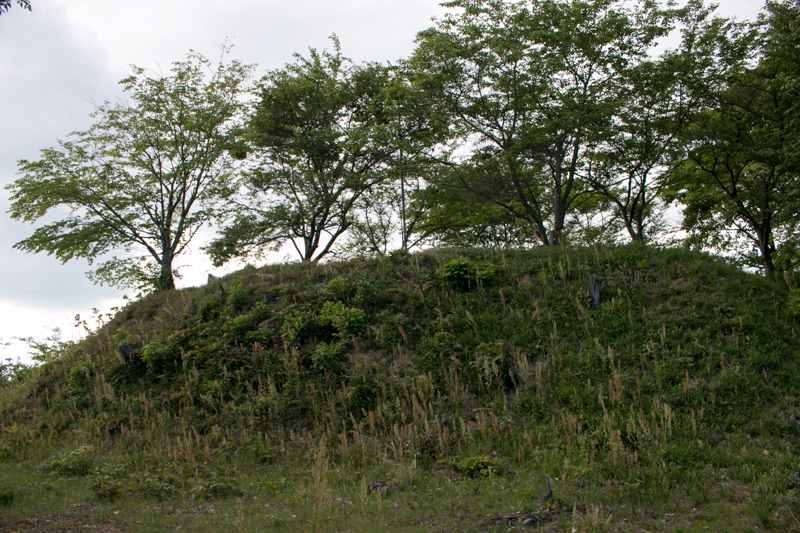 Apart from this defeat, Hideyoshi steadily captured castles of Mouri clan. In 1581, Hideyoshi made flood attack against Bicchu Takamtsu castle (Okayama prefecture), and requested his master Nobunaga a total attack against Mouri clan. 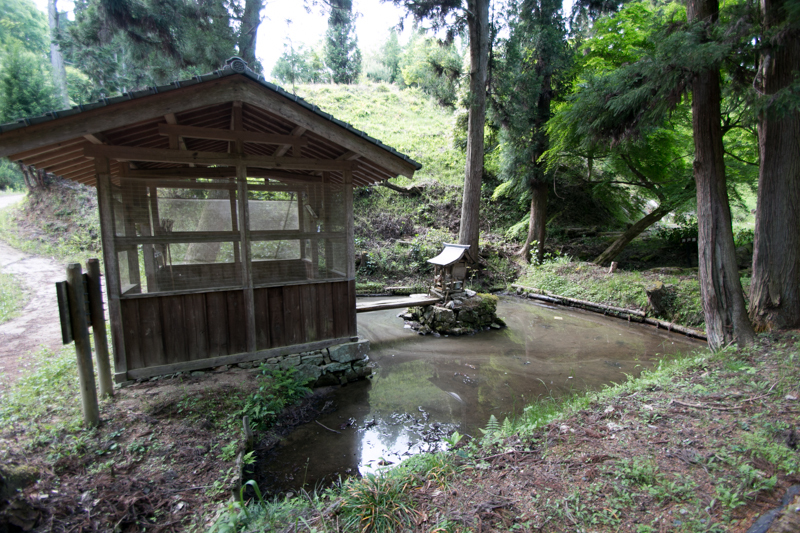 In 1582 June, Nobunaga sent his general Mitsuhide Akechi (1521-1582) as a reinforcement and he himself left Azuchi castle and stayed at Honnoji temple in Kyoto city. 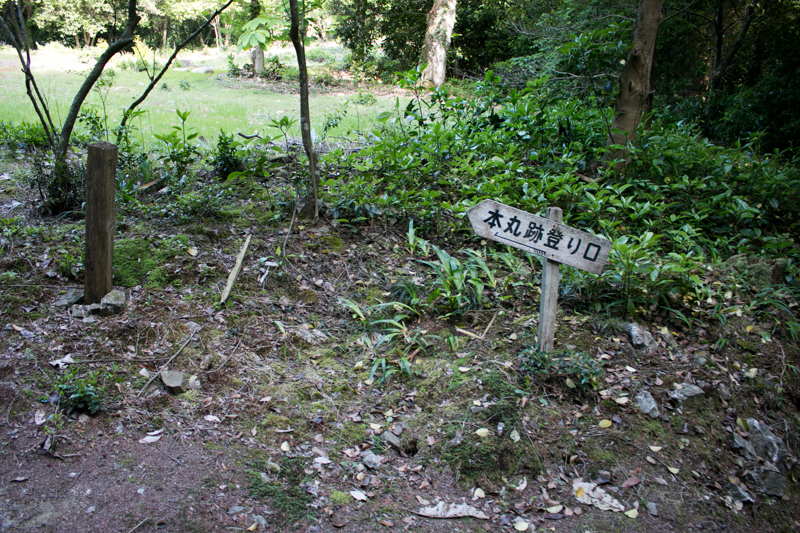 But utilizing this chance Mitsuhide made a coup d'?tat against Nobunaga then Nobunaga killed himself. Hideyoshi heard this news quickly made peace with Mouri clan then returned to Kinki region and defeated Mitsuhide at the battle of Yamazaki. 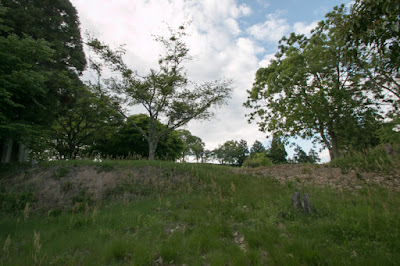 After the battle of Yamazaki it was decided to hand over Mimasaka province from Mouri clan to Ukita clan in 1584, but Mouri army stayed at Iwaya castle declined this order and resisted. 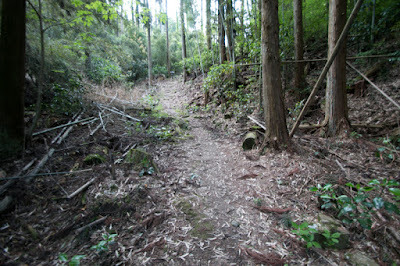 Finally impatient Ukita army attacked Iwaya castle by 20,000 soldiers from southward, but Mouri army stood this attack over 3 mouths and finally left the castle under coordination of Yoshiaki Ashikaga (1537-1597), the last Shogun of Muromachi Shogunate in exile. Iwaya castle was managed by Ukita clan but lost by fire in 1590 and was disposed. 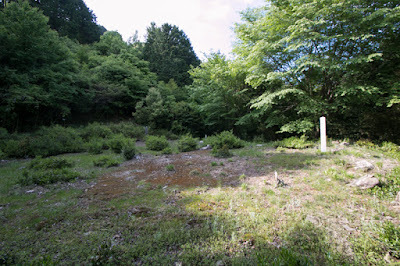 Today no building is left but terraces at hilltop area well keeps former shape. 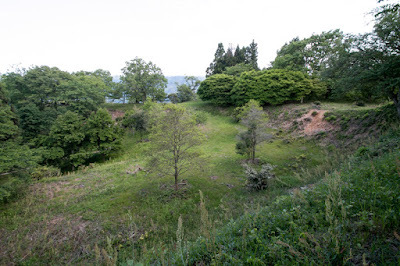 Looking at over 1 kilometer sheer climbing route, large terraces surrounded by U shaped ridge at hilltop area and water source pond, it is convincing that this castle recurrently stood attack of strong enemies. 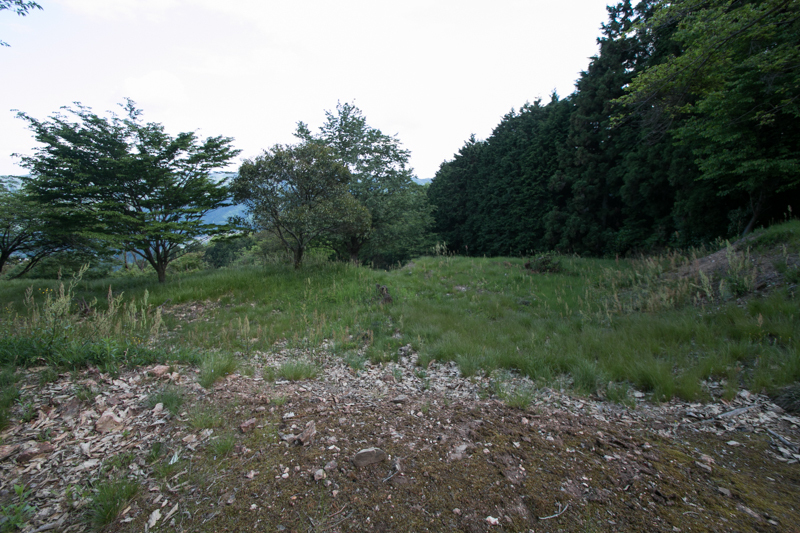 Mimasaka province had a fate as a target of competition, but Iwaya castle fully showed its presence among such situation by its security. 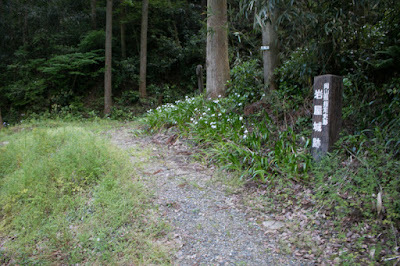 20 minutes drive from Chugoku Jidoshado Expressway Innosho interchange to the entrance of climbing road. 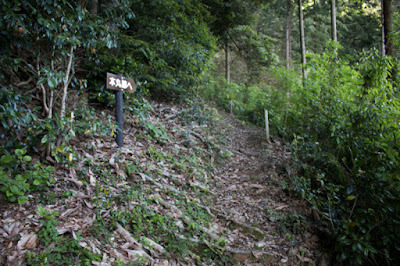 Be careful for narrow access road.